Citizens Property Insurance in Florida is looking to settle roughly 6,500 open lawsuits filed against it related to Hurricane Irma claims. In a recent statement to the company’s claims committee, Citizens chief claims officer Jay Adams said that the insurer is offering to pay to have appraisers review the disputes and forge resolutions. If those appraisers cannot agree, the state-run insurer of last resort is also willing to pay umpires to make binding decisions. Under current policy terms, both sides in a claims dispute can request appraisal before taking the matter to court – however, both parties must pay for their own appraisers. The cost of an umpire is split between both parties, as necessary. Citizens hopes to settle about half of the 6,500 qualifying suits through the offer, Adams explained. Company spokesperson Michael Peltier told South Florida Sun Sentinel that, as of yesterday, some 60 plaintiffs have agreed to accept the offers. Of the 6,500 open suits filed against Citizens over Hurricane Irma claims, 84% involved a dispute over how much it would cost to return covered properties back to their pre-loss conditions, noted Adams. The lawsuits are not over whether Citizens is responsible for covering the loss. 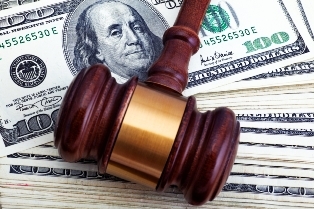 Instead, these are cases wherein the company has made payments that were later deemed insufficient by the policyholder, or cases where the insurer said damage costs did not exceed the policyholders’ deductibles, leading to customers not receiving any payouts.